Game of Thrones Season 7 Spoilers: According to the latest news & updates, the entire plot of the GoT S7 has been leaked online. 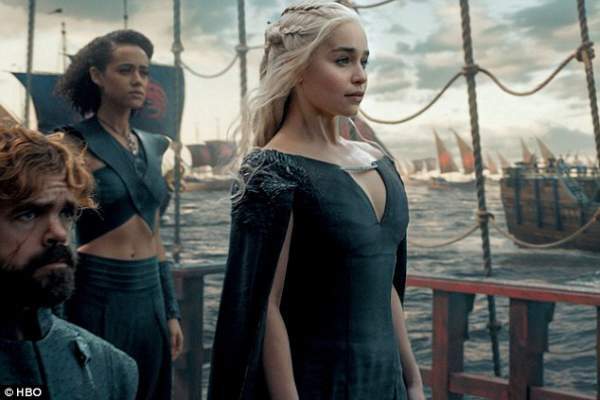 The HBO fantasy show has been the most pirated in the history of TV. It has a huge fan base with an unparalleled thirst for it. However, fans are divided over it. Some believe it while other don’t. Well, the exact story will be revealed only after the GOT Season 7 airs. A significant proportion of the fan believes it to the masterpiece of a fan’s very vivid imagination. A Redditor who goes by the name awayforthelads has reportedly posted the numerous astonishing spoilers on the user-generated website. The Watchers On The Wall, the news site dedicated to the drama has actually confirmed some of the listed points of the plot leak. They have posted some show sources and set photos to confirm the same. The redditor account was deleted after fans started sharing the same. However, HBO hasn’t released any official statement regarding the alleged leak. Scroll down carefully, you may encounter some spoilers while reading. The story is insane. The account was suddenly deleted. Thus, we can believe there must be some truth in it, if not 100%. So far, the network HBO had remained silent in contrast when some of the season five episodes were leaked online. If the leaked is believed to be 100 percent true, then we can expect a pregnancy, a hookup, the return of some beloved characters, the end of some great houses, lots of death, and a dissertation which will enough to make viewers’ jaw drop. The leaked plot reveals about an uneasy alliance which Cersei, Daenerys, and Jon Snow forged to fight the White Walkers. Though Jon denied to bow down to Dany, he agrees to give up the title as the King in the North if she agrees to help him in defeating the major threat in the North. Thus, it follows a tense meeting of Cersei, Tyrion, Jon, Daenerys, oppoenentsJorah, Varys, miss Andrei, Qyburn, Euron Greyjoy, The Mountain and The Hound at the Dragon Pit in King’s Landing. Jon brings an undead wight to prove his point that the seven kingdoms need to be united to fight what’s coming, the Night’s King. It is apparent that Jon and Daenerys will hook up by the end of episode 7. In the meantime, Tyrion Lannister will start worrying about the temperament of Daenerys as she will order her Dragons to burn some of the Westeros Lords for refusing to kneel before her. Arya will kill the remaining Freys and then Littlefinger will come into action and try to play her against Sansa. Horrified Cersei gets ready to help, but at the time of need, she refuses thinking the opponents will thin each other out. At this moment, Jaime gives up on his sister and leaves her to go and fight against the White Walkers. It looks like Cersei gets pregnant with the second child of Jaime, but later in the season, we get to see she appears to lie on a blood-soaked bed. It seems she suffers a miscarriage. In order to get hold of the wight and defend the wall, Jon Snow heads up to the north with a team of Tormund Giantsbane, Beric Dondarrion, the Hound, Thoros of Myr and Jorah north of the wall. Jorah will be cured of his greyscale by Sam. Sam learned the trick from an old maester in Oldtown who had cured himself. Daenerys and her three dragons rescued the team, but Viserion is killed by the Night’s King in the mission. Later on, he resurrects the dragon as his own mount. Viserion, now, starts breathing blue flame and he uses him to destroy The Wall. Probably, the most expected development throughout the season was the meeting of Jon and Daenerys. It will be least surprising if they both end in bed together by episode number seven. Nymeria. Arya’s direwolf gets reunited with its mistress. She was last seen chasing her away to save her in season one. Also, The Hound gets to meet his brother The Mountain there itself. The priority for Arya this season will be to summon all the Freys. She will utilize the face of Walder whom she executed in the last installment. She will send all the women out and proposes a toast and poison the lot. Littlefinger will try to trick Arya against her sister. He will make use of the letter Sansa wrote to Robb under the duress of the Lannisters. However, Littlefinger’s plan will fail as Sansa will look through him with the help of Bran. Later on, Arys will execute him too. Sam and Bran will discover the true heritage of Jon and his real name, Aegon. In the meantime, Gilly stumbles upon the information and found that Rhaegar’s marriage was canceled and later on, he was married to Lyanna Stark. It will make Jon’s claim on the throne more legitimate. The wedding will be shown in a flashback. Before it, the Lannister army attacked Dorne and Highgarden and wiped out the remains of houses Martell and Tyrell. It will be revealed that Lady Olenna killed Joffrey as she claimed it to Jaime. He offered her to take her own life by drinking poison. During her winning journey, Daenerys defeats the Lannister army despite them having anti-dragon artillery which Qyburn designed for them. For the Ironborn, Euron meet and destroys the fleet of Yara and take her as the prisoner. Theon Grejoy escapes narrowly. Also, Euron kills two of the Sand Snakes and captures Ellaria. It looks like he forges an alliance with Cersei. However, in the end, he gets freaked out by the wight. He asked if they could swim and got a negative reply. Then, he returned to Pyke. Later on, Theon meets Jon, and he allows him to live as he helped and saved Sansa. The seventh season of Game of Thrones will return later than usual. Most probably, it will come out in mid-2017. It will have only seven episodes rather than usual ten.